Velvet is distinguished from other flat textiles by its pile or nap weave. The unique texture is created by an extra set of lengthwise yarns in addition to the warp yarn needed to weave the background of the fabric. 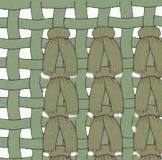 When forming loops with this extra set of yarns on the face of the fabric the density, weight and texture of the fabric is being modified. After the fabric is woven the pile or nap is cut and many modifications can be done recreating a finishing or pattern. 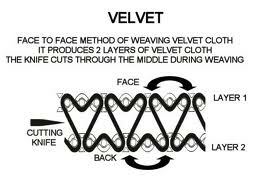 Velvet: the whole set of warp nap is cut to obtain an erected pile or upright pile. This is when the yarn is standing up. Panne Velvet: once the pile is cut it is pressed into one direction to obtain a flattened pile that is laid in one direction giving a shimmering appearance. Crushed Velvet (Mirror V.) has the nap pressed into different directions. Print Velvet: Print on nap of the velvet. Modern recreation of brocading velvet and jardinière velvet, brocaded velvet had patterns woven with metallic (gold) yarns while jardinière velvet was woven with satin ground pattern multicolored design and made with pile of varying height and cut and uncut loops. 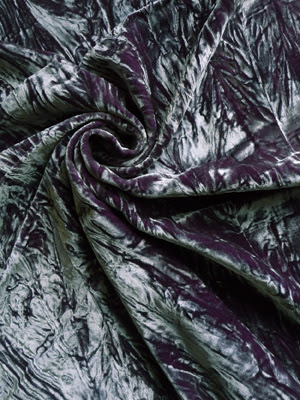 Burnout or Stamped Velvet: different methods are applied either to burn or dissolve the pile into patterns. When burn with metallic hot cylinders it is called stamped velvet, when dissolved by chemicals it is called Burnout. For commercial purposes either one is called Burnout Velvet. Nacre Velvet: The back of one color and pile of another, so that it has changeable pearly appearance. Velvet drapes gracefully depending on the background weave, the material used for its construction the thickness of its pile and the finished applied to it. or the blend of two or more of them. 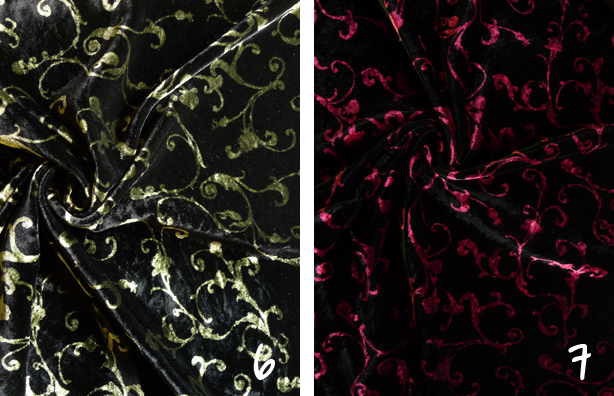 Velveteen is known for being the cotton version of velvet. When Velveteen appeared around 1810, it was originally woven with an extra set of filling yarns instead of warp yarns. There were also some versions made out of cotton that would include interlocked rows of pile and woven filling yarns, which gave the fabric a different appearance and texture. 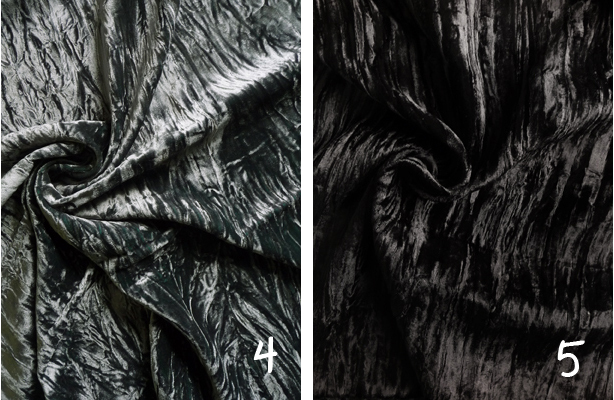 Velveteen keeps its body making it unique; with a beautiful subtle lustrous would make warm, textured bottom weights, jackets, coats, waistcoats and accessories. Velour (French word for velvet) is the knitted version of velvet. Innovations of fabrics bring us this fashionable fabric that is very versatile springy (or stretchy), acceptable for dancewear, sportswear, loungewear, fashionable sleepwear, it is often used to make cardigans, tunics and tops suitable for formal occasions and office wear. 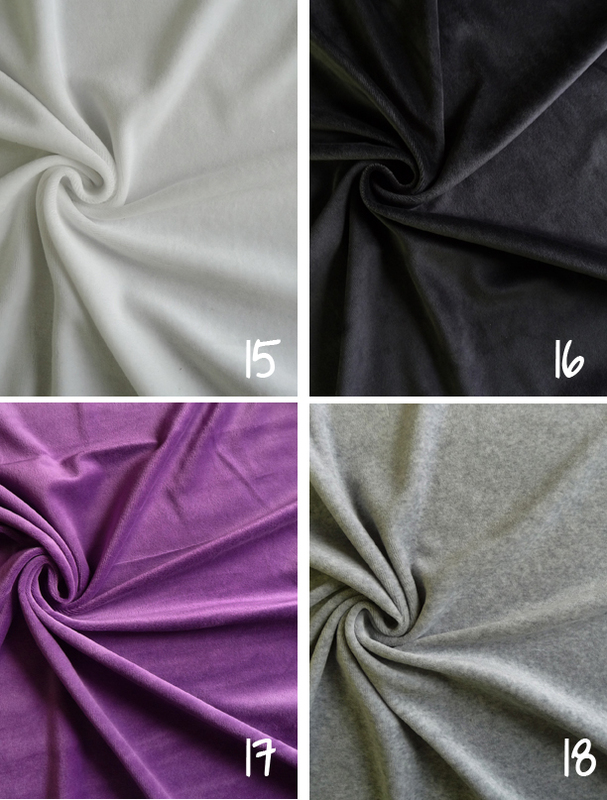 Velour can be made of polyester, acetate, cotton, and rayon or blended. On a regular velvet loom, two single cloths are woven face-to-face, one above the other, with each pile end interlacing first with one fabric and then the other. Afterwards, the pile is cut automatically on the loom by a knife that travels back and forth through the center of the pile, separating the upper and lower fabrics into two single cloths. On a wire loom the yarns loop over the wire forming the pile, and as each wire is withdrawn its knife cuts the loop, producing the cut pile. (Filling yarns are considered to be the yarns running selvedge to selvedge (crosswise), while warp yarns are considered to be the yarns going with the selvedge (lengthwise).